Dolph Ziggler was reported to have signed a new WWE contract in mid-February but according to Ziggler himself, that’s not the case. Reports were Ziggler had signed a 2-year deal with WWE worth $1.5 million. 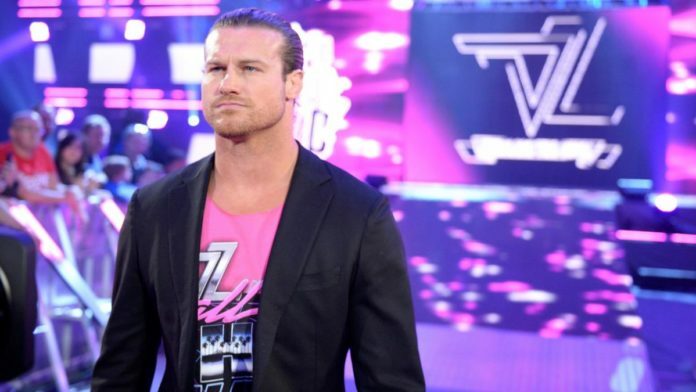 In a recent interview with Fox Sports, however, Ziggler says these reports simply aren’t true. “I would love to get into that more but based on the internet, they told you I’d re-signed and I have not,” Ziggler said to Fox Sports. Ziggler continued to say he is still negotiating with WWE on a new deal. “I have a bunch of things going on and I don’t like taking days off and I don’t want to leave WWE but it’s great to have some options,” Ziggler said regarding what he wants to do. It sounds as though Ziggler is leaning towards staying with WWE but would like to take some time away. I’ve been able to track down the two sources which each claimed they had insider knowledge of Ziggler’s WWE deal. The first news of the contract was leaked by podcaster Bill “the Hacker” Hamin. The podcaster mentioned he had insider information that Ziggler had agreed to a deal after almost leaving the company. Hamin did not report the signing as fact, however, more just as something he had heard. Hacker Hamin Media has a series of podcasts and is also associated with Vince Russo’s the Brand. Sports Illustrated’s weekly Extra Mustard column on wrestling by Justin Barrasso on February 14th, 2018 published news that Ziggler and WWE had reached an agreement. “Ziggler, who opened and closed this week’s SmackDown, just signed a new two-year contract for a reported $1.5 million per year.” – Sports Illustrated Extra Mustard, February 14th, 2018. Ziggler never mentioned during the interview why he never bothered to correct the rumors until now.